It all Started with a Google Search | Canada Visa - Gateway to Canada | Canada Immigration Consultancy! 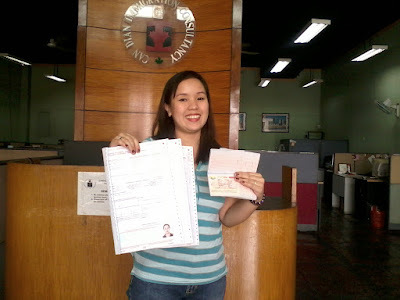 Mrs. Reanne Medallon, a Registered Nurse, is one of those who stumbled upon this blog through Google search. Her visa was issued last week together with other 54 clients. She took our FREE online assessment and after few email exchanges with one of our Agents, she decided to visit our office to start with her application. She will be moving to Canada soon together with her husband and one child. With all the online scams out there and fraudulent consulting firms sprouting like mushrooms, it is understandably hard to simply entrust your hard-earned money to a consulting firm you just find via a Google search. But unlike other consulting firms, we have a track record to speak of. Check us out! Visit us at our office near you.